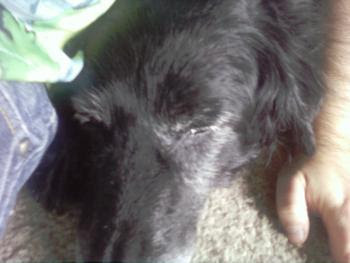 It's been a quiet month here at SeniorPooch.com, but a busy one for me personally. Just to mix things up a bit, I posted a few less posts to see how the readership would react. We still get pretty decent traction for a blog that is only 1.5 years old, but it looks like you all like us best when we're posting more than one article per month. As always, if you have any thoughts on this or tales of senior dogs to share, I'm happy to share their story with the hundreds of unique visitors that we have every month. One burning question that I have is: Would you like to see new posts on the weekend? I ask because it looks like there are a number of folks that like to read the Friday posts on Saturday, so I'm wondering if you're all just catching up, or just have a bit more time and would like to see something new as well. I've spent more than a little of my time working with The Dog Squad working events, maintaining their website, and most recently being appointed Secretary on their Board of Directors. It's all pretty miraculous that one dog (The Mighty Boo Boo, pictured above) would change my life to this extent. This weekend I'll be dedicating one day this weekend to a number of Dog Squad activities, including going to see Charlie who came back to us recently. Charlie remains a champ of epic proportions, but needs a dog-only home with a family that understands that he needs some extra love and attention to get over his insecurity issues. While he was with a great family for a short time, it ultimately turned out not to be the relationship that either were looking for, and so Charlie is back with The Dog Squad looking for the right people for him. I've been working on some new articles and have some design changes to go into the site coming within the next week. 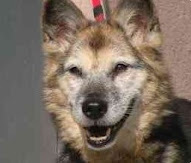 I'll end this post with a heart-warming video from Iowa, where a senior dog lost for four years was reunited with his owner after being shown on a local TV station as the pet of the week. WARNING: This one is a tear-jerker in the best way possible.